Frame and Wheel is auctioning a 2010 Scott Plasma 2 LTD frame set on the Frame and Wheel eBay Store. The frame set was purchased new in 2009 and built up in 2010. It was used for time trials and training in 2010 and 2011. It has been in storage since then. The frame set has had only one owner. It has never been crashed. The owner is selling the frame set because he no longer uses it. The frame set features Scott Plasma 2 LTD carbon fork, integrated seat post, oversized top tube, cut away seat tube, aero down tube and seat stays, “twin turbo” chain stays, English thread bottom bracket, Ritchey WCS seat post topper, horizontal rear drop outs, internal cabling, light weight and distinctive angular lines. The owner is 5 feet 11 inches tall with an inseam of 32 inches. The frame set as shown weighs 4 pounds 14 ounce (2.2 kg). The frame serial number reads STR05D15409050059. The front fork serial number reads STF03K10009060046. There are 130 images of the frame set on Frame and Wheel’s Flickr page. Please take a look. The frame set is in good condition. It is clean and ready for build. There are no cracks, bulges, discolorations, flexing or flaking that raise concerns about the structural integrity of the frame. The rear triangle is in alignment with the the centerline of the frame. The rear derailleur hanger is straight and undamaged. There are no obstructions in the shifting and brake cable openings on the top of the top tube. The cable guide on the chain stay is undamaged and free of obstructions. The seat post cable guide mount is undamaged and unobstructed. The rear brake mount fitting is not missing and undamaged. There is no corrosion in the water bottle bolt holes. The bottom bracket shell is not damaged. The threads in the bottom bracket are not stripped or corroded. The front derailleur hanger is mounted securely. The speed skeg is not damaged. There are no cracks, bulges, discoloration, flexing or flaking that raise concerns about the structural integrity of the front fork. The crown race is not damaged. The cartridge bearings are not corroded or damaged. The cartridge bearings turn smoothly and the head set is complete. The seat clamp works properly and it is complete. The chain stay protector is attached securely. Frame and Wheel notes the following. There is a 2 mm x 15 mm abrasion on the inside face of the non drive side chain stay. There is a 3 mm x 10 mm chip on the outside face of the drive side rear drop out. The drive side cable guide seal on the top tube is torn. The back of the seat post shows road wear. There is an area of light scratches on the inside surface of the drive side chain stay near the drop out. There is light road wear on the bottom of the down tube. The chain stay protector has a wrinkle. Frame and Wheel’s view is that this Scott Plasma 2 LTD frame set will make an excellent choice for the road cyclist who seeks a stiff and light frame set for time trials. It will also suit the triathlete who wants to upgrade to a practical and full carbon time trial bicycle. The frame set is in good condition and shows immaterial signs of wear. Built up with SRAM Red components, Profile Design aero bars, a Zipp disc rear wheel and a Zipp deep dish front wheel, the frame set will become a fast bicycle with a voice that speaks of performance as would a gladiator. A fine opportunity to obtain a lightly used and very nice time trial frame set. Total weight: 2.2 kg / 4 pounds 14 ounces (frame: 1,540 g fork: 400 g seat clamp: 176 g headset components: 85 g). Frame and Wheel is auctioning a 2012 Look 695 SR Integration Pack on the Frame and Wheel eBay Store. The owner obtained the frame package new in 2012. It was built up with Di2 electronic shifting and used for about 2,000 miles of fair weather riding. It was never raced. It was never crashed. The bicycle was parted out in 2013. The owner is selling the frame package because he no longer uses it. The frame set features Look HSC 7 carbon fork, ZED 2 carbon crank set with adjustable crank arms (170 mm 172.5 mm or 175 mm), adjustable bolt circle diameter (standard 130 mm or compact 110 mm) and Praxis chain rings (53T/39T), E-Post II carbon seat post, C-Stem 2 carbon stem, Look Head Fit 3 integrated headset and Look BB65 bottom bracket. The frame features integrated seat post (ISP), over sized down tube, aero seat tube, tapered head tube (1 1/8 inch to 1 1/2 inch), carbon front derailleur hanger, Di2 electronic shifting design, light weight and matt carbon finish. The frame package as shown weighs 2.6 kg (5 pounds 8 ounces). The owner is six feet tall (1.8 meters) with an inseam of about 32 inches (81 cm). The serial number on the bottom of the bottom bracket shell reads XXL2401J10LD15. The frame can accommodate electronic shifting only! It cannot be adapted to mechanical shifting! Please see 130 additional images of the frame set at Frame and Wheel’s Flickr page. Instructions and brake mount bolts included. The frame package is in very good condition. It is clean, fully assembled and ready for build. There is no road wear on the bottom of the down tube, on the seat stays or on the back of the seat tube. There are no cracks, bulges, discolorations, flexing or flaking that raise concerns about the structural integrity of the frame. The rear triangle is in alignment with the the centerline of the frame. The rear derailleur hanger is straight and undamaged. The front derailleur hanger is securely mounted on the seat tube. The openings for the electronic shifting wires on the down tube, the bottom bracket shell, the chain stay and the seat tube are not obstructed or damaged. There is no corrosion in the water bottle bolt holes. The bottom bracket shell is not damaged. The bolt hole on the bottom bracket shell for the battery is not corroded or stripped. There are no cracks, bulges, discolorations, flexing or flaking that raise concerns about the structural integrity of the fork or the stem. The head set turns smoothly. The head set assembly is complete. There is no play in the head set. There is no corrosion in the face plate bolts. The face plate on the stem is not cracked. The crank set turns smoothly and freely. The chain rings are not damaged and show no wear. The bolt holes for the pedals are not stripped or corroded. There are no cracks, bulges, discoloration, flexing or flaking that raise concerns about the structural integrity of the seat post. The seat clamp works properly and it is complete. Frame and Wheel notes the following. There is a 5 mm x 20 mm abrasion on the bottom of the drive side chain stay. One of the chain ring bolts is damaged and should be replaced. There is a 2 mm x 2 mm de-lamination on the drive side front fork. There is wear on the bottom of the front fork crown. There is wear on the non drive side bottom bracket shell. There is wear around the brake mounts. There is wear on the chain stay protector. Frame and Wheel’s view is that this Look 695 SR Integration Pack will make an excellent choice for the dedicated and taller (six feet plus) road cyclist who seeks to upgrade to something that is light, stiff and designed exclusively for electronic shifting. The frame, fork, crank set, seat post and stem are in very good condition and have many hours of serious racing and training remaining in their carbon fibers. Built up with Zipp 808 tubulars, Shimano 7900 Di2 shifting and Zipp bars, this frame set will become a very light and fast bicycle with a sleek voice that speaks of the triumphs and the panache of French Pro Cycling and channels the spirit of Bernard Hinault. An excellent opportunity to obtain one of the more thoughtfully engineered frame packages on the market today. Total weight: 2.6 kg / 5 pounds 8 ounces (fully assembled frame fork crank set stem seat post). Frame and Wheel is auctioning a 2008 Parlee TT custom frame set on the Frame and Wheel eBay Store. 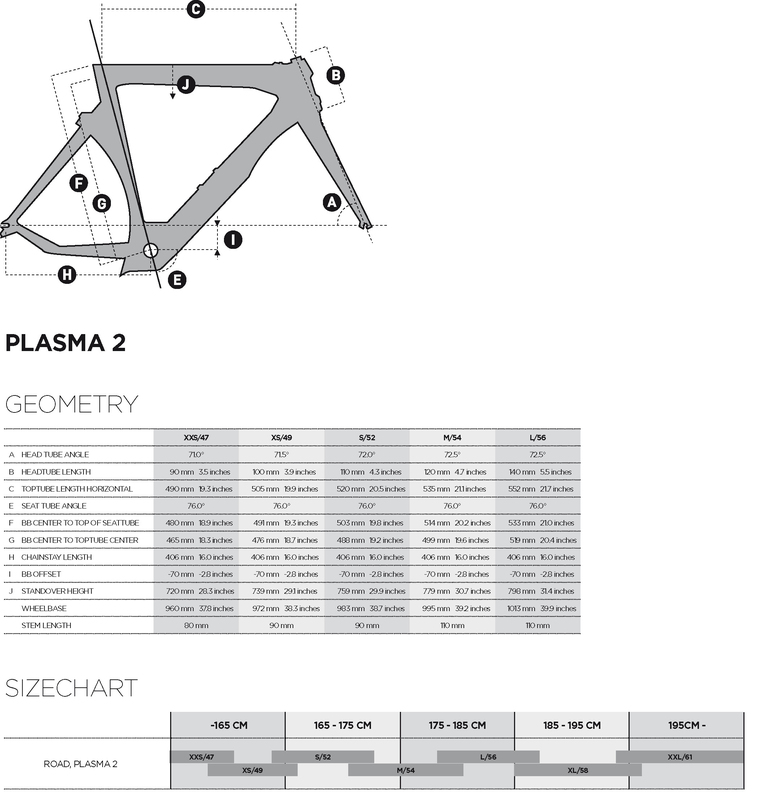 The frame set was ordered new from Parlee Cycles in 2008 for a cyclist who is 6 feet 3 inches tall (1.9 meters) with an inseam of about 35 inches (89 cm). It was built up and used for time trials in 2009. The bicycle was placed in storage at the end of the 2009 season. It was obtained by the current owner in 2011 and used primarily for display purposes. It was not ridden. The bicycle was parted out in 2013. It was never crashed. The owner is selling the frame set because he no longer uses it. The frame set features 3T Funda Pro front fork, Simkins Design Group Egg brake (front), chain stay mounted TRP 925 rear brake, Parlee carbon aero seat post and English thread bottom bracket. The frame features aero down tube, cut away aero seat post, twin aero seat stays, standard 1 1/8 inch to 1 1/8 inch integrated head set, internal cabling on the top tube and down tube, Parlee carbon front derailleur hanger, titanium vertical rear drop outs, integrated seat post collar, distinctive black and red finish and Parlee custom shop provenance. The frame set as shown weighs 5 pounds 12 ounces (2.6 kg). No serial number is given because it is a custom frame. Mechanical cabling only. Ships in custom made box. Please see 108 additional images of the frame set at Frame and Wheel’s Flickr page. The frame set is in very good condition. It is clean and ready for build. There is no road wear on the bottom of the down tube, on the chain stays or behind the seat tube. There are no cracks, bulges, discolorations, flexing or flaking that raise concerns about the structural integrity of the frame. The rear triangle is in alignment with the the centerline of the frame. The rear derailleur hanger is straight and undamaged. The chain stay cable stops are undamaged and clear of obstructions. The rear brake mount is undamaged. The cable openings for the rear brake and front derailleur are unobstructed and undamaged. There are no obstructions in the shifting and brake cable openings on the top of the top tube. There is no corrosion in the water bottle bolt holes. The bottom bracket shell is not damaged. The threads in the bottom bracket are not stripped or corroded. The front derailleur hanger is adhered to the frame securely. The chain stay mounted rear brake works properly. There is no corrosion in the springs or on the brake arms. There is 4 mm of pad remaining. No pieces of the brake are missing. There are no cracks, bulges, discoloration, flexing or flaking that raise concerns about the structural integrity of the front fork. The crown race is not damaged. The cartridge bearings are not corroded or damaged. The cartridge bearings turn smoothly and the head set is complete. There are no cracks, bulges, discoloration, flexing or flaking that raise concerns about the structural integrity of the seat post. The seat clamp works properly and it is complete. The front brake works properly. There is no corrosion in the springs or on the brake arms. The pads are fresh. No pieces of the brake are missing. Frame and Wheel notes the following. There is a 5 mm x 8 mm abrasion on the inside face of the drive side chain stay from wheel rub. There is a 5 mm x 8 mm abrasion on the inside face of the non drive side chain stay from wheel rub. There is a 1 mm x 5 mm scratch on the bottom of the down tube near the bottom bracket shell. There is wear on the drive side and non drive side edges of the bottom bracket shell. There is wear on the bottom of the front fork crown. There is wear around the front and rear brake mounts. There is wear on the rear drop outs. There is no chain stay protector. Frame and Wheel’s view is that this Parlee TT frame set will make an excellent choice for the very tall cyclist (over six feet) who seeks an aero frame set for time trials or triathlons. The frame set is in very good condition. It shows immaterial signs of wear and it has many more hours of use remaining in its carbon tubes. The frame set is very light for its size and a blank slate upon which the new owner can originate a masterpiece of aero form and function. Built up with a Zipp 900 Disc / Zipp 808 wheel set, Zipp Vuma Chrono crank set and Zipp Vuka aero bars, the frame set will become a very fast time trial bike with a voice that speaks seriously of power and speed. A rare and excellent opportunity for the very tall cyclist to join the Parlee peleton. Total weight: 2.6 kg / 5 pounds 12 ounces (Frame with rear brake and seat post: 2,030 g. Front fork with brake: 530 g. Head set components: 80 g). Frame and Wheel is auctioning a Specialized Trispoke wheel on the Frame and Wheel eBay Store. The current owner purchased the wheel second hand in 1992. It was used for one racing season. It was used as a front wheel for time trials. It was raced less than ten times. It was never crashed. It has been in storage in a wheel bag since then. The owner is selling the wheel because he is clearing out his basement of cycling equipment. The wheel features original trispoke design and construction, alloy tubular rims, dual front / rear Specialized hub, 100 mm steel road axle, 54 mm rim depth, 19 mm rim width, smooth black carbon finish, distinctive Specialized yellow lettering and HED Cycling lineage. The wheel as shown weighs 2 pounds 8 ounces (1.1 kg). The serial number reads 363-21-864. The model year date reads 22791. The hub as shown has a 100 mm steel axle. It is set up for use as a front wheel on a road bike. The hub can be converted to a rear wheel hub. The HED.3 Rear Track Axle Thread On is required to make the conversion. Skewer not included. There are 60 images of the wheel set at Frame and Wheel’s Flickr page. Please take a look. Ships in custom wheel box. The wheel is in good condition. It is clean and ready to ride. The hub spins smoothly and freely. There are no dents in the rim. There are no cracks, flexing, flaking in the three carbon spokes. There are no cracks, flexing, flaking or discoloration in the carbon wall. The valve opening is undamaged and unobstructed. There is no play in the hubs. The threading on the drive side hub is not stripped or corroded. There is no glue on the rims. The rim seam is smooth. There is no corrosion on the rim. The rim is firmly attached to the carbon shell. The yellow lettering is not peeling off. Frame and Wheel notes the following. There is lateral and vertical variation in the rim of less than 1 mm when placed in the truing stand. There is an 8 mm x 50 mm scratch on the non valve opening side “Specialized” spoke. There is a 25 mm x 15 mm abrasion on the carbon wall near the valve opening. There is wear around the valve opening from a sticker. There is a light 1 mm x 42 mm scratch on the the carbon wall near the “Specialized” spoke. There is a 1 mm x 20 mm scratch on one of the non valve opening side spokes. There is a 5 mm x 10 mm abrasion near it. There is a 1 mm x 5 mm scratch on the bed of the rim. The braking surfaces of the rim shows wear. There is surface corrosion on the hub body. There is wear around the hub. There is a piece of grit loose inside the rim wall. Frame and Wheel’s view is that this Specialized Trispoke wheel will suit the road cyclist who seeks a classic aero wheel for a time trial bike as well as the collector who seeks original detail for an early nineties time trial bike restoration. It will also suit the track cyclist who seeks something sturdy and aero for a track bike and the fixie enthusiast who wants to change the voice of a single speed bike. The wheel is in good condition given its twenty two years and has many more hours of use as a front or rear wheel remaining in its carbon spokes and aluminum alloy rims. The distinctive sound of the three bladed spokes dicing the wind will channel the vision of Steve Hed and is sure to provide deep satisfaction and inspiration to the new owner. A rare and excellent opportunity to obtain a modern day classic. Frame and Wheel is auctioning a Spinergy X-tralight Rev X wheel set on the Frame and Wheel eBay Store. The owner purchased the wheel second hand from a racing cyclist in 2001. The owner used the wheels recreationally and occasionally for racing. They have never been crashed. They have been in storage for most of the past ten years. The owner is selling them because he does not use them anymore. The wheel set features carbon bladed spokes, carbon walls, alloy clincher rims, 46 mm rim depth, 19 mm rim width, Spinergy X-tralight hubs, Shimano free hub body with spacers and lock ring for a ten speed cassette, Coda skewers Spinergy design and classic nineties aero cool. The wheels as shown weigh 4 pounds 3 ounces (1.87 kg). The spoke serial number on the front wheel reads 297430. The spoke serial number on the rear wheel reads 298119. The wheels are Made in Mexico. There are 100 images of the wheel set at Frame and Wheel’s Flickr page. Please take a look. Please see the Frame and Wheel website for more information about the company and the service. Includes spacers, lock ring and rear derailleur guard. Ships in custom wheel boxes. The wheels are in good condition. They are clean and ready to ride. The hubs spin smoothly and freely. There are no dents in the rim. There are no cracks around the rivets that join the carbon spoke blades to the carbon wall. There are no cracks, flexing, flaking or discoloration in the eight carbon spokes on the front or the rear wheel. There are no cracks, flexing or discoloration in the carbon wall. The valve opening is undamaged and unobstructed. There is no play in the hubs. The threading on the rear axle is not stripped or corroded. The front and rear axles are straight. The rim seam is smooth. The alloy rim is firmly attached to the carbon wall. Frame and Wheel notes the following. There is lateral variation in the rear wheel of 1.5 mm (width of a penny) when placed in the truing stand. There is lateral variation in the front wheel of less than 1 mm when placed in a truing stand. There is a 0.5 mm x 8 mm indentation on the leading edge of one of the non drive side spoke blades. There is a 14 mm x 10 mm abrasion on the drive side carbon wall near the rim. There is a 14 mm x 10 mm abrasion on the left side of the front wheel carbon wall. There is a similarly sized abrasion on the right side of the front wheel carbon wall. The freewheel hub body shows wear. The braking surfaces of the rim show wear. There is surface corrosion on the inside surfaces of the rim. There is surface corrosion on the quick releases. Frame and Wheel’s view is that this Spinergy X-tralight Rev-X wheel set will make an essential addition to a classic Cannondale bike collection.The wheel set will also add generous amounts of retro aero cool to an urban fixie bike. Frame and Wheel is not convinced that these wheels are a good choice for racing or serious riding given the huge advancements in carbon wheel technology and the fact that Spinergy no longer manufactures them (Indeed, users are cautioned by Spinergy to inspect these wheels closely and frequently for cracks). Nevertheless, these wheels are in good condition and ready to add a new accent to the voice of a bicycle that is used for gentle commuting or display purposes. An increasingly rare opportunity to obtain a deep dish original. Frame and Wheel is auctioning a SRM training system on the Frame and Wheel eBay Store. The training system was purchased new in 2008 and has had only one owner. It was mounted on a time trial bike. It was used primarily indoors on a trainer. It was used in time trials. It has an estimated 600 hours of use. It was parted out in late 2012. The crank set is being sold because it is no longer needed. The PowerMeter crank set features Shimano Dura-Ace 7800 alloy crank arms, Shimano Dura-Ace 53T / 39T chain rings, 170 mm crank arms, Shimano BB-7800 and BB-7900 bottom bracket compatibility, ANT + wireless protocol, a new circuit board, new batteries, newly serviced calibration and black and white highlights. The PowerControl features new batteries, 30 hours of operating time, 4 megabyte of storage, SRM functionality, durable construction and black finish. The PowerMeter crank set, the PowerControl unit and the speed sensor were sent to SRM USA for servicing and testing in March 2013. The batteries in the crank set are new and the crank set calibration was tested with the PowerControl. The batteries in the PowerControl unit are new. The speed sensor is new under the warranty. The heart rate sensor was replaced in 2012. The PowerMeter crank set as shown weighs 790 g. The serial number on the back of the PowerMeter crank set reads PM:17952. The serial number on the back of the PowerControl unit reads 4099. This offering includes the following: PowerMeter Dura-Ace 7800 crank set with chain rings, PowerMeter Control VI, speed sensor with zip ties, heart rate sensor and belt and instructions, cadence magnet and bottom bracket mount, multi charger with worldwide adapters, SRM training system software version 6.41.0, SRM USA testing and servicing paperwork and original SRM box. Bottom bracket cup set not included. There are 65 images of the system on the Frame and Wheel Flickr page. Please take a look. The PowerMeter training system is in good condition. It is clean and ready for installation and use. The chain rings are not bent and the teeth are not chipped or broken. The chain ring bolts are not stripped or corroded or locked into place. The pedal thread bolts are not stripped. None of the chain ring bolts are missing. The crank arm bolts are not missing. The spindle cap is not missing. The splines on the spindle are not rounded off. The PowerControl VI unit works properly and scrolls through its pages. The screen is not damaged. The bolts are not corroded. The USB pins are not damaged. The speed sensor is new. The heart rate sensor belt is clean. The heart rate sensor works properly. The multi charger charges properly. The opening for the USB port is not damaged. The adapters work properly. The USB cable is not damaged. There are no scratches on the software disc. Frame and Wheel notes the following. The chain ring teeth show wear. There is wear on the spindle. The crank set was returned to SRM USA for servicing and inspection in November 2012. SRM USA did the following: 1) Disassemble power meter, chainrings and crank arms. Clean and check reed switches, solder pad, coil, wires and lid. Load firmware, solder new batteries, test current and zero offset. Reassemble power meter with chain rings and crank arms. Calibration, test with PowerControl. SRM concluded that zero offset, power and cadence were OK. 2) Provide new slope=21.4/Nm. Provide new PowerMeter Circuit Board. Provide new speed sensor under the warranty. Change battery in PowerControl VI #4099. Frame and Wheel’s view is that this SRM training system will make an excellent choice for the dedicated cyclist or triathlete who seeks to train and race with power. The training system is complete, in good condition, newly returned from servicing and ready to measure watts with ruthless accuracy. The new owner will discover the true meaning of the term “power interval” and reap the performance benefits that are obtained by analyzing ride data over time. The wireless system is convenient and pleasing to the eye, and the PowerMeter is compatible with any ANT + power control unit. A fine and rare opportunity to obtain an instrument that has become ubiquitous in competitive cycling.